In terms of gaining meaningful information, personal interviews remain extremely important. Donna Decker, English professor at Franklin Pierce University, analyzes the importance of personal interviews. Donna Decker was selected as a Ms. Feminist Scholar in 2010 which gave her an opportunity to do public scholarship and social justice work at once. Ms, the foremost feminist magazine in North America, with 100,000 subscribers, hosts a unique, competitive initiative designed to engage feminist scholars in writing for both Ms. Magazine and blog. 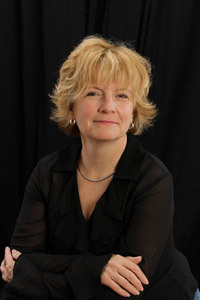 Decker was one of twenty-five to be selected from among 150 applicants to be a Ms. Magazine Feminist Scholar based on the quality of her writing sample and the compelling nature (and marketability) of her project about the 1989 Montreal Massacre of fourteen women engineering students by a 25-year-old man. The goal of the three-day Ms. Writing workshop she attended in Washington, DC in May 2010 was to teach scholars to “translate” their academic writing into writing for a broader audience, the readers of the magazine and blog. While such readers are, by and large, educated and sophisticated, they are not interested in reading academic/theoretical jargon, so Ms. Feminist Scholars spent time in DC altering their writing styles to reach a wider audience. I was haunted when I learned that on December 6, 1989, a gunman entered a classroom at Ecole Polytechnique in Montreal killing 14 – all of them women – and announcing he was “fighting feminism,” before taking his own life. He left behind a list of 19 women he wished he had had time to kill as well. Debate about the nature of the massacre ensued in the media: was it the isolated act of a madman or an iconic act of misogyny? Personal interviews remained my most salient method of research, revealing the interiorities of real people in more robust ways than had previous efforts, including academic analyses and artistic renderings, lending acute insight into the personal and political aftermath of a school shooting. Interested in the subjective experience of the survivors and families of the victims, I conducted interviews with many, including the sister of a victim, a woman wounded in the attack, and another targeted by the gunman. I asked what it was like to learn your sister had been killed in her classroom. What it was like to discover your name and phone number on a killer’s “hit list.” What enables one to survive such grief? How does one reckon with a dubious police response and a public debate about the gendered nature of the crime? All were unequivocal in their responses: Canada was rocked by this “American Crime,” media and engineering schools were forced to confront gender bias, and the pain is deep and abiding.